Queenstown is the perfect destination for a romantic getaway and the Glebe’s studio apartments will put you in the mood for a memorable holiday. With comfortable furnishings, a well-appointed kitchenette, your stay at the Glebe will be the high point of your Queenstown experience. You’ll stay connected with wi-fi and watch Sky TV on the widescreen LCD and snug and warm with underfloor heating. 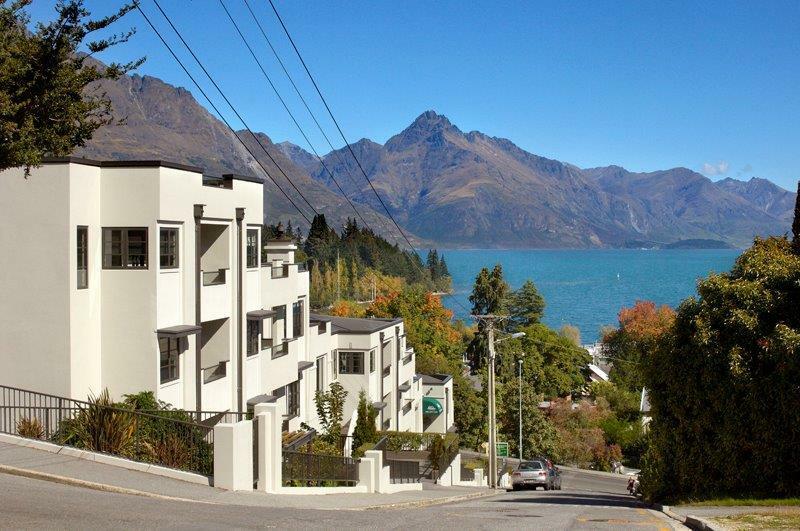 And Queenstown’s legendary cafes, dining and club scene are just a few steps away. Well-appointed kitchenettes complete with modern appliances. Whether your passion is adventure sports, shopping and wine-tasting or just chilling in luxurious surrounds, Queenstown and the Glebe set the standard. You’ll find everything you need to make your stay a memorable one. Your spacious apartment is ideal for relaxing and the bright, sunny layout provides an inviting backdrop for your stay. Plus there are fine food shops, French bakeries and delis just metres away so that you can whip up gourmet meals and snacks in no time. All you need to bring is a positive attitude and plenty of energy. And every morning you will wake up refreshed after a deep sleep in our comfortable bed. Making your stay at the Glebe the highlight of your Queenstown holiday is the number one priority of the Glebe staff and management. Southern hospitality at its best translates into a warm welcome, personal attention to your every requirement, full-service activity bookings and expert advice on local attractions. f you are planing a special event such as a wedding or anniversary we can point you in the right direction. You’ll have full access to our well-appointed gym and sauna, free underground secure parking, a drying room for your ski gear and more. For current upto date rates information please click here . Or contact our reception directly by emailing stay@theglebe.co.nz. Online bookings are not confirmed bookings, we will confirm once we are assured our policies are read and understood. A 2% surcharge applies to all payments made by credit card. 2% credit card fee does not appy to direct bookings through our website. Book on this site to receive a 10% discount.